Journal of Marine Biology & Oceanography is a peer-reviewed scholarly journal that aims to publish the most complete and reliable source of information on the discoveries and current developments in the form of original articles, full/mini reviews, commentaries, letter to editor, rapid/short communications, etc. in all areas pertaining to marine biology and oceanography, making them available online freely without any restrictions or subscription to researchers worldwide. The Journal is using Editorial Manager System for maintaining quality review process. Editorial Manager is an online manuscript submission, review and tracking system. 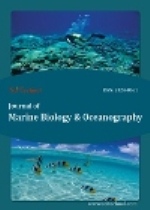 Review process is performed by the editorial board members of Journal of Marine Biology & Oceanography or outside experts; the validation by at least two independent reviewers followed by the editor’s approval is required for the acceptance of any citable manuscript for publication in the Journal. Authors may submit manuscripts and track its progress through the system, hopefully to publication. Reviewers can download manuscripts and submit their opinions to the editor in the Editorial Manager System. Editors can manage the entire submission/review/revision/publication process. Climatology is not only concerned with the analysis of climate patterns and statistics (e.g. temperature, precipitation, atmospheric moisture) but also with seasonal to inter-annual climate variability, long-term changes in mean and variability characteristics, climate extremes and seasonality. The whole body of salt water which covers the most of the Earth’s surface. The average salinity of ocean water is approximately three percent. Five oceans of the world are Atlantic, Pacific, Indian, Arctic, and Antarctic. The ocean makes our planet a wonderful place to live. It gives us more than half of the oxygen we breathe. It regulates the climate, absorbs a quarter of the carbon that we put into the atmosphere every year, provides livelihoods for hundreds of millions of people. It is the study of ocean plants and animals and their ecological relationships. The study of Marine Biology includes astronomy, physical oceanography, geology, botany, genetics etc. Marine Ecology is the science that deals with the basic structural and functional relationships within and among living populations and their physical and chemical environments in marine ecosystem. An ecosystem is a group of living organisms in conjunction with the non living components of their environment. Marine Chemistry is the study deals with the chemical composition and chemical processes of the marine water bodies. Major use of marine chemistry is through the pollution regulation and monitoring in marine environmental protection. 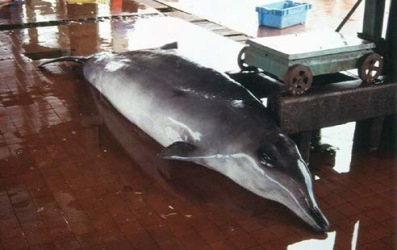 It involves the protection and restoration of species and mitigating human activities such as overfishing, habitat destruction, pollution, whaling and other issues that affect marine organisms and ecosystems that are living in oceans & seas throughout the world. It is the science that deals with the catching, processing, or selling of fish or other aquatic animals. It is to protect biodiversity and to create sustainable seafood sources because of the world's dependence on fish for protein.There are many areas of study in this field i.e, The ecology of fisheries, Fisheries management, Aquaculture. Ocean Engineering is a branch of technological studies that deals with the design and operations of man-made systems in the ocean and other marine bodies. It is concerned with mechanical, electrical, electronic and computing technology to support oceanography. 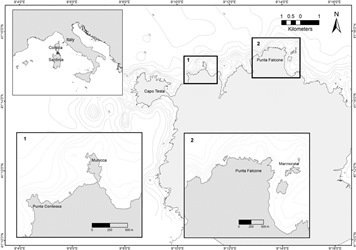 It is the science dealing with the relationship between the geochemistry of a given region and its flora and fauna, including the circulation of such elements as carbon and nitrogen between the environment and the cells of living organisms.